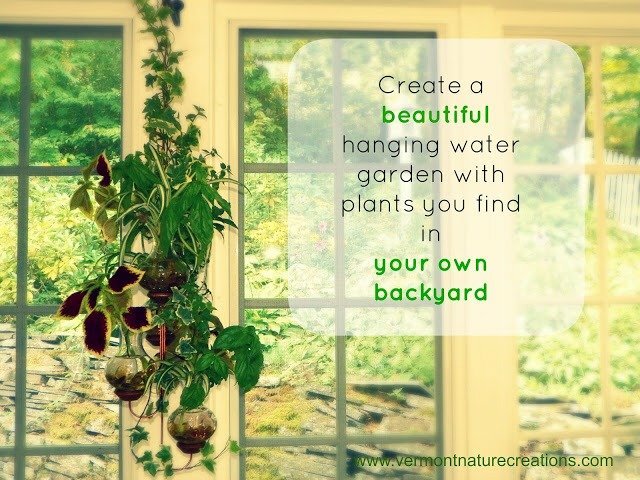 You don’t need to go to a greenhouse to find the perfect plant combinations to make your hanging water garden look gorgeous. Just check your backyard! Here’s what we found in our backyard. 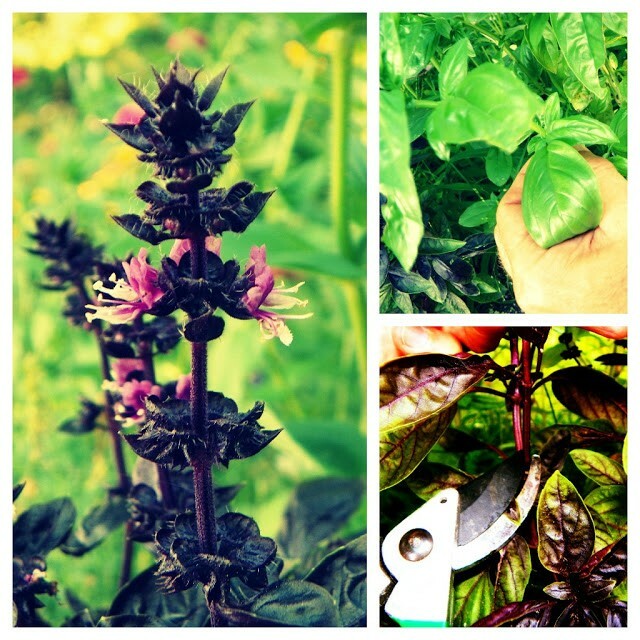 Purple and green Basil, coleus and mint (which can be found growing wild in many yards this summer) are some of our favorites for rooting. Plus, they look perfect as a vase combination. We grabbed a 4-tier design and mixed it up with our fresh cuttings (which, by the way, already have roots only a few days later! ), along with a few spider babies- cut from potted spider plants- ivy and yellow beads. The bright mix of colors look perfect in our sun room. 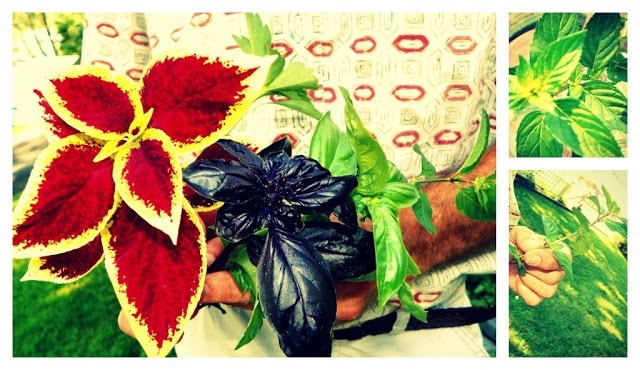 Be sure to look for special cuttings in your yard before the summer is over. This entry was posted by vncreations in Uncategorized. I received a circle planter for a gift today and I don’t know how to order my plant. My reference # is 1225. My phone # is 610 443-3273. I live in PA.
How do I create the image with the multiple flowers between the windows? I have the perfect windows. 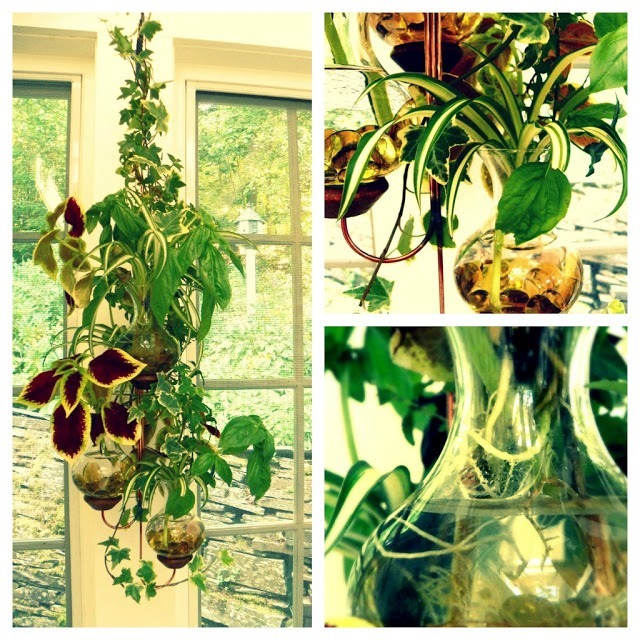 Purchased one hanging plant assembly today. Want to add more to look like the image. Have lots of plants.